headquarters. This area, rich in skilled artisans, has contributed to the creation of a team unsurpassed in their shipbuilding experience. With a state-of-the-art facility in the heart of the Netherlands, international visits are made easy by the proximity to the Amsterdam’s Schiphol International Airport. The shipyard boasts a temperature controlled build hall and a 70m long quay allowing room for the construction of up to three yachts simultaneously. Superyacht support vessels are increasing in popularity within the industry whether they are used as a tender garage, extra storage for an array of toys or as a floating helideck. Owners are becoming more adventurous and demanding more from their yachting experience. 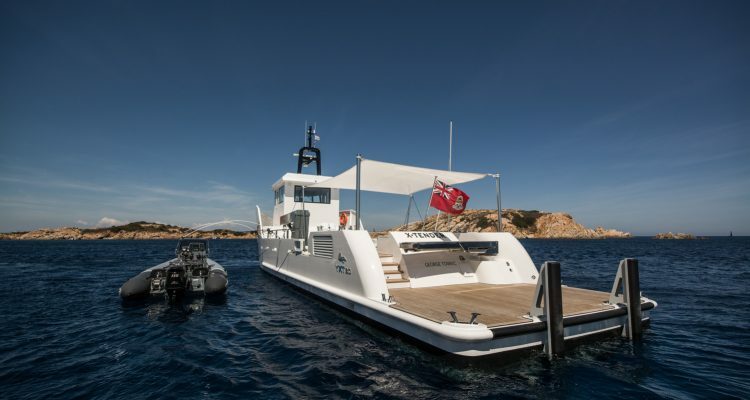 If they want a 12 metre tender, a dive centre or even a submarine, why would you compromise on the luxury of the superyacht when a support vessel can offer you the perfect solution? 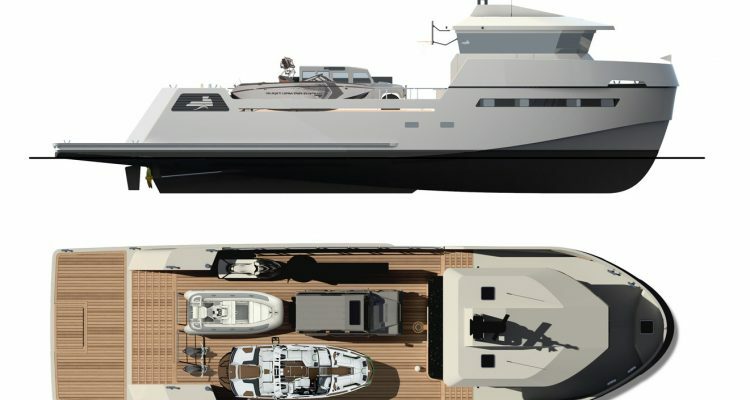 The necessity for larger tenders or indeed a dedicated sport boat, multiple PWCs, All Terrain vehicles and more inflatables is pushing the limits of the superyacht. 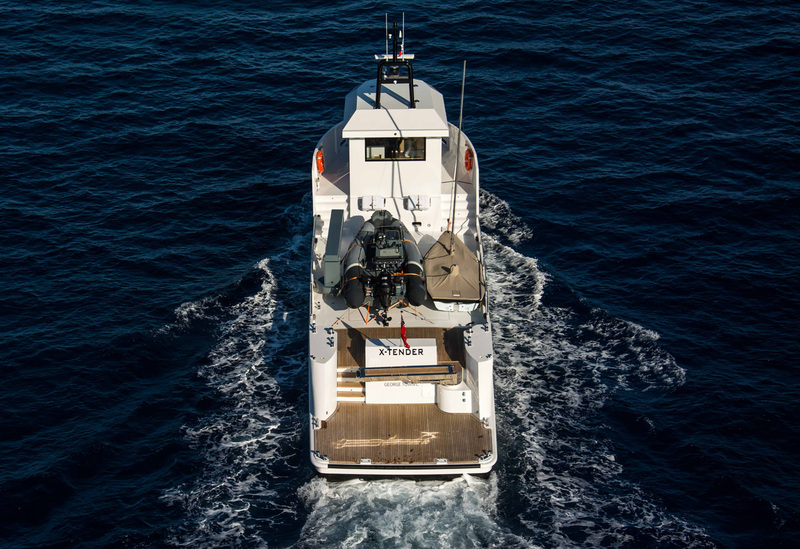 The support vessel is therefore the natural choice and provides the increase in capability the owner needs at a fraction of the cost of a larger superyacht. A dedicated support vessel will certainly increase safety in terms of freeing up deck space and allowing your crew to safely and efficiently deploy the tenders and toys. It also allows you to tailor the equipment you load dependent on destinations, activities and guests demands. The aesthetics and technology going into support vessel development is on a par with the larger yachts, no expense is spared in the interior finishing, it’s just the outside deck areas that are designed for the storage of the larger tenders and array of toys. The vessels also lend themselves to having much large beach deck areas meaning a greater number of guests can join the fun, learn new watersports and parents can relax and be closer to kids in the water. 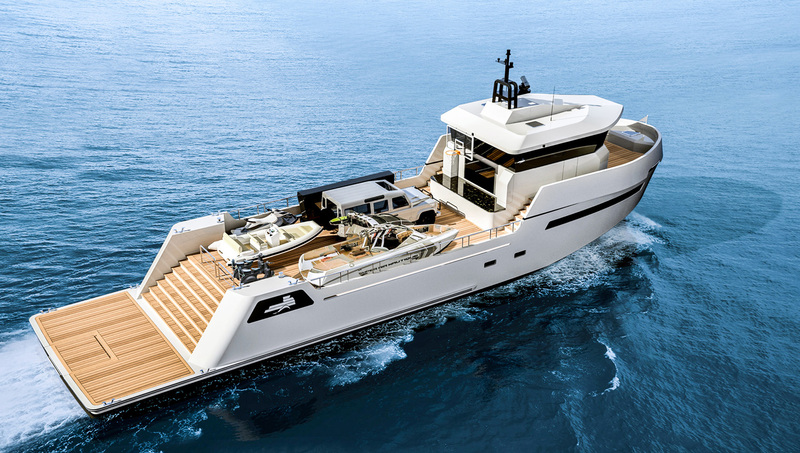 These vessels can really take your yachting experience to a whole new level. A greater level of freedom is also granted to the mothership. There is no need to delay departures, waiting for the slides to be deflated and stored or the PWCs and tenders loaded and secured. The support vessel can also race ahead to the next anchorage, prepare, set up and be ready for the owner and guests to arrive. The support vessel can also accommodate other yachting professionals. Rossi notes when asked about crew accommodation on board, “The vessels also cater for another category of professionals, staff like for example a Scuba Dive Master or a sailing instructor, or a personal trainer. Those are professionals that are neither guest nor crew, and with a shadow vessel you can also host this kind of people, who can increase the quantity of activities you can offer family and guests, without sacrificing the space or privacy on board the main yacht. 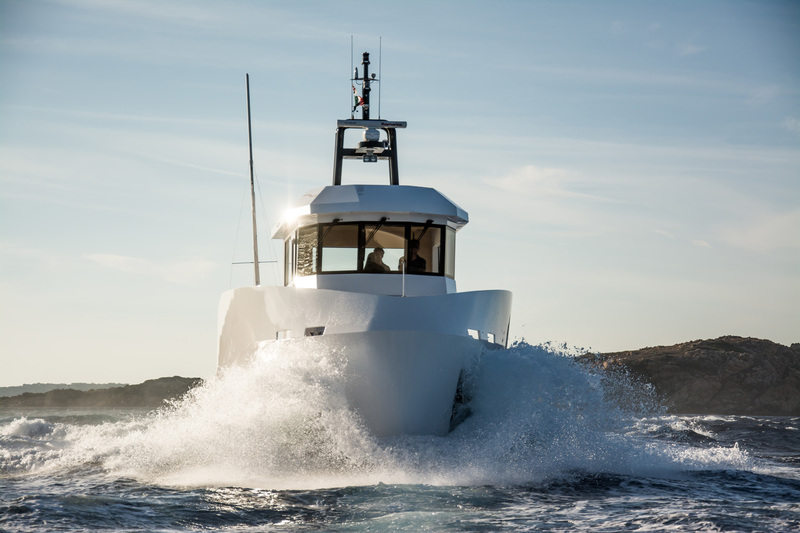 Other advantages are that the mothership can remain under the 500 GT mark, with the support vessel taking over on storage, they can be easily manoeuvred in smaller locations or marinas and cruise in rougher conditions whilst the mothership enjoys quieter anchorages. There is no doubt that owning a support vessel is more economical and more practicable than up-sizing to a larger mothership: the flexibility it gives is endless.